An experimental blood test to detect eight types of cancer is being called "encouraging." 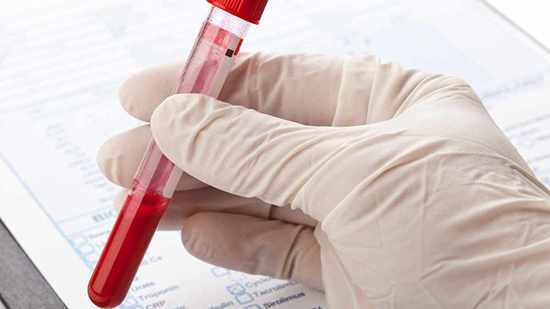 A study published in the journal Science shows researchers developed a single blood test to screen common cancers in their early stages. Dr. Aleksandar Sekulic, deputy director for the Mayo Clinic Cancer Center in Arizona says the work is promising and important. "The study published in Science this week is to some extent a game-changer but I would summarize it is a first step in a journey that will need to have multiple additional steps." Watch: Dr Sekulic discusses cancer blood test. "When we think of cancer, cancer is a genetic disease. We are all born with a DNA that we contain in all our cells," says Dr. Sekulic. "The difference in cancer versus normal cells is DNA in the cancer changes; it mutates. The cancers will amplify a number of genes, delete some genes. Some of those cancer cells will spill that DNA into the blood stream which will float around. And if you have a method to detect that, and differentiate that from normal DNA, one may, in fact, detect the presence of cancer, which would otherwise not be known." The blood test could cost about $500, according to the study. Researchers say the test is not available and much more work needs to be done. Researchers say the eight cancer types are colon, lung and breast, and the five cancer types for which there are no screening tests available for average-risk individuals: ovary, liver, stomach, pancreas and esophagus. Science Saturday: Will a machine pick your next medication?